Observational titles are returning to Seven next week with new episodes of Highway Patrol and Beach Cops. Both are back on Wednesday beginning at 7:30pm. No date yet for Gold Coast Medical but it is imminent. 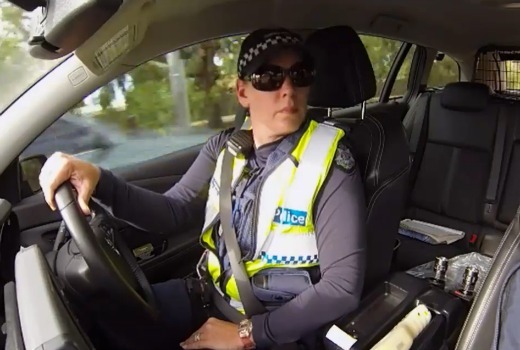 Don’t miss the series return of Highway Patrol on Wednesday, October 19 at 7.30pm when a driver is caught driving an unregistered vehicle, sending him into a rage against the police officers. Also, another driver is caught driving on L plates unaccompanied. And sticking with the police theme at 8pm check out the series return of Beach Cops which features a teenager who is trapped in the blowhole and drunks on the Corso who know the law better than the police! And the cops chase two young men who are making home- made bombs. Great news. Two easy to watch, engaging shows. Highway Patrol still going strong after all this time too!